Kolb sat on that panel, which Clark said came up with more than 40 recommendations. Clark asked Kolb if he was surprised by the recent charges. The event took place under the Annex Tent at the Ann Arbor Summer Festival. At this point in the conversation, Pluta jumped in to emphasize the fact that a state department director is being charged with a crime for decisions about what to reveal and what not to reveal. This event was underwritten by ITC. He asked Pero what this does for the state's capacity to recruit workers for these sorts of government positions. For the night's full conversation, including answers to various audience questions, listen above. 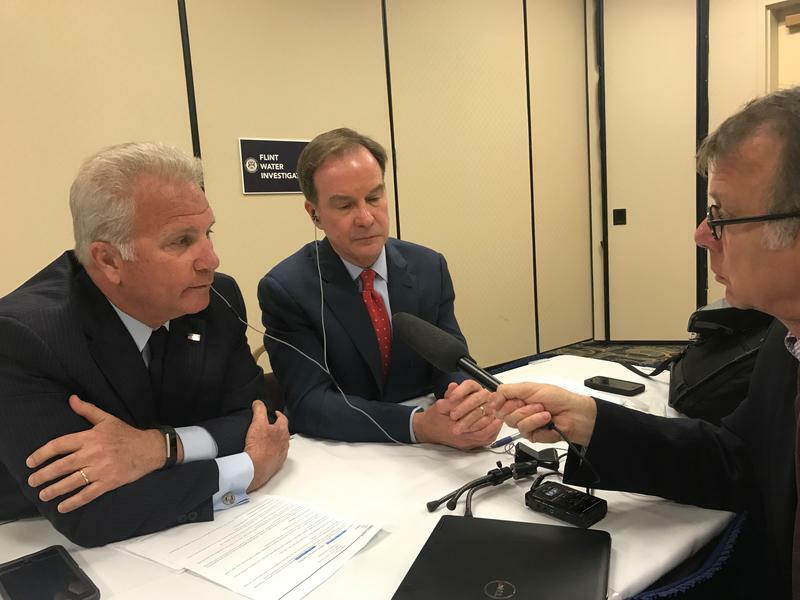 Stateside’s conversation with Michigan Attorney General Bill Schuette and Genesee County Prosecutor David Leyton. 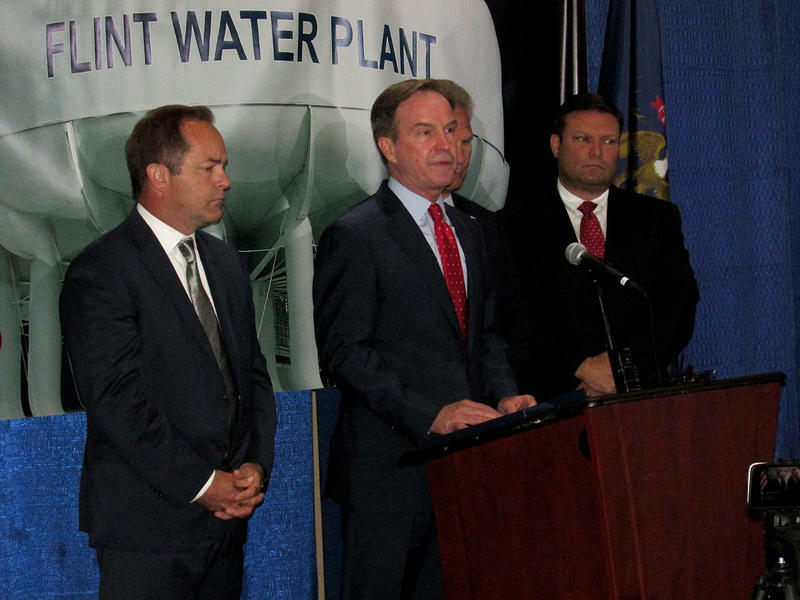 New charges have been filed in the Flint water crisis – this time in connection with the Legionnaires' outbreak that killed 12 people and sickened 78 more in Genesee County. New charges in the Flint water crisis are connected to the Legionnaires’ disease outbreak. Five current and former government officials are now facing involuntary manslaughter charges in the Flint water crisis. The charges are in connection with a Legionnaires' disease outbreak during the height of the crisis. Legionnaires’ disease is a serious form of pneumonia caused by bacteria.